We like a good knees-up in Taking Part. Who doesn’t? So what better way to celebrate the end of a project than with a party! The Taking Part department have spent the last four months working on a Parallel production to run alongside the main house production of Feast. Where Feast took as its inspiration Yoruba and the diaspora of Nigerian people, we inverted the idea, looking at our cast of local Lambeth and Southwark people and asking how we all ended up in the area. Essentially – who are we are where have we come from? The outcome was a beautiful salad bowl of people, all mixed up in the same two boroughs, different but together. 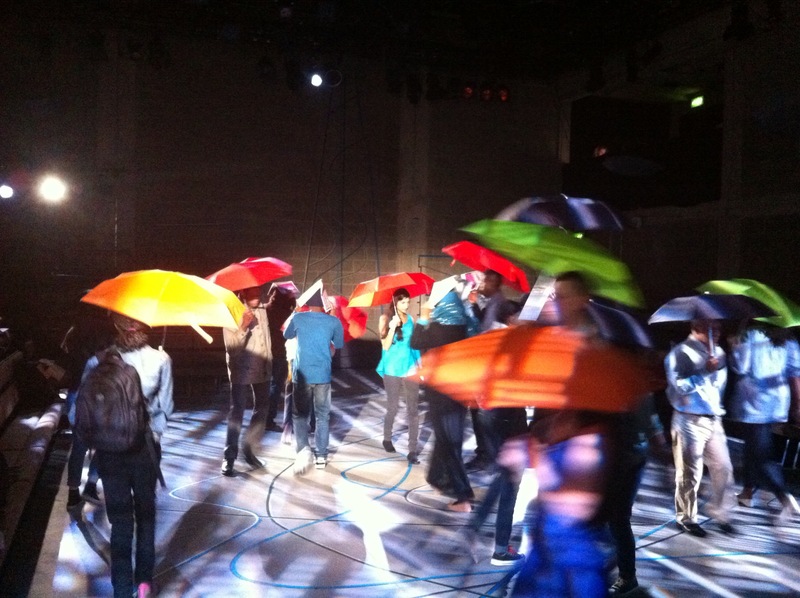 The resulting show, Flashes, was devised and written from the weird, wild and wonderful stories that the participants brought to the room. 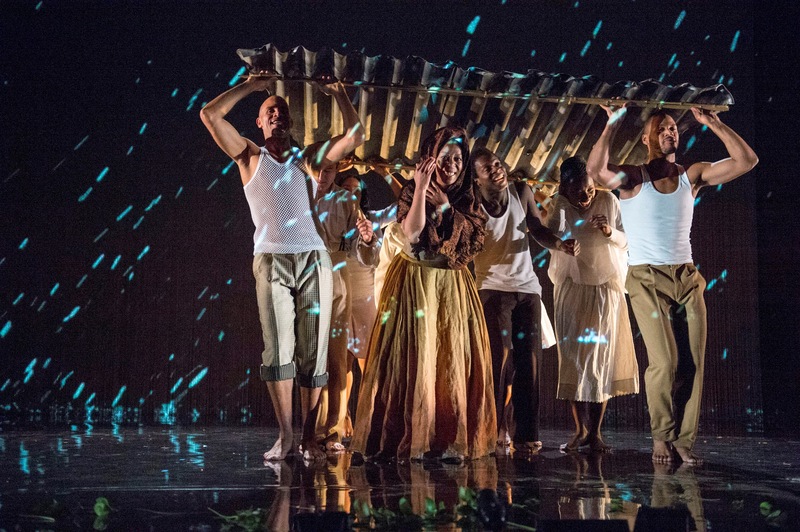 Threads were woven together in a giant tapestry of movement, colour and story as we were treated to a show in which young people and elder people and everyone in between from a diversity of backgrounds acted together on stage. And so to our knees up. To celebrate the show, to celebrate our local community, to welcome our friends and neighbours to the theatre, we threw open our doors on a Sunday, got in stall holders and Nigerian food, made some drinks, and booked some bands. The fantastic Cosmic Child played as we ate, drank and talked, and then Drumtastic put on a foot-stomping show on the set of Flashes. As the band played and people jumped up to dance and clap, we looked around us, at the people of different ages, from different community groups, all listening and laughing together. They are our community, and we love ‘em! Lily Einhorn is our Two Boroughs Projects Managers. 5 stars for the “electrifying, pioneering, dazzling” Feast – plus extra performances added! Just announced! Feast has been extended until 2 March! Feast now runs until 2 Mar. Tickets are available at youngvic.org. After the performance on Tuesday 5 February, the audience is welcome to join us for an exclusive Q&A with director Rufus Norris (Cabaret, London Road) and writer Gbolahan Obisesan. 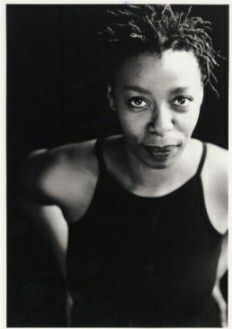 The panel will also include Noma Dumezweni, who plays Yemaya in Feast. Noma won an Olivier Award for A Raisin in the Sun – and you might know her as Captain Magambo in Doctor Who! 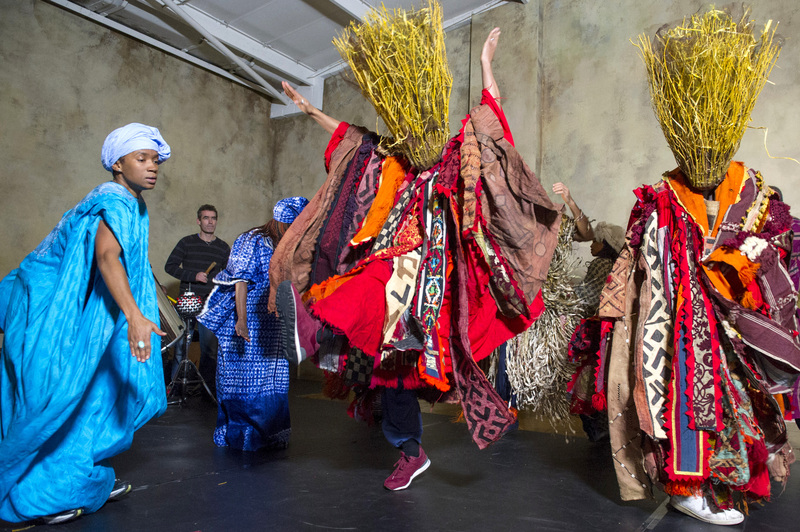 Chaired by the Guardian’s theatre editor Andrew Dickson, the panel will discuss the making of this epic production through the lens of the African diaspora and the fascinating evolution of Yoruban mythology from Nigeria to modern-day Brazil, Cuba, the US and the UK. Just a handful of tickets are left for this performance – book now! Is the tail end of winter getting you down? Are you in need of some warming food, a cocktail or two and the chance to kick off the post-Christmas blues? How about tapping your feet to some great music? Watching thrilling performances? Making some new friends and celebrating with old ones? Join the Taking Part team and our community cast to celebrate a dazzling project on Sunday the 24th February. Come together for our Feast Party – an afternoon of feasting and celebration which will draw influence from Yoruban culture across Nigeria, Cuba, Brazil, the UK and the USA. We’ll be getting a little taste of Yoruba with slices of the parallel production of Feast, delicious Nigerian food, fantastic drumming and dancing, and stalls selling art, crafts and jewellery. 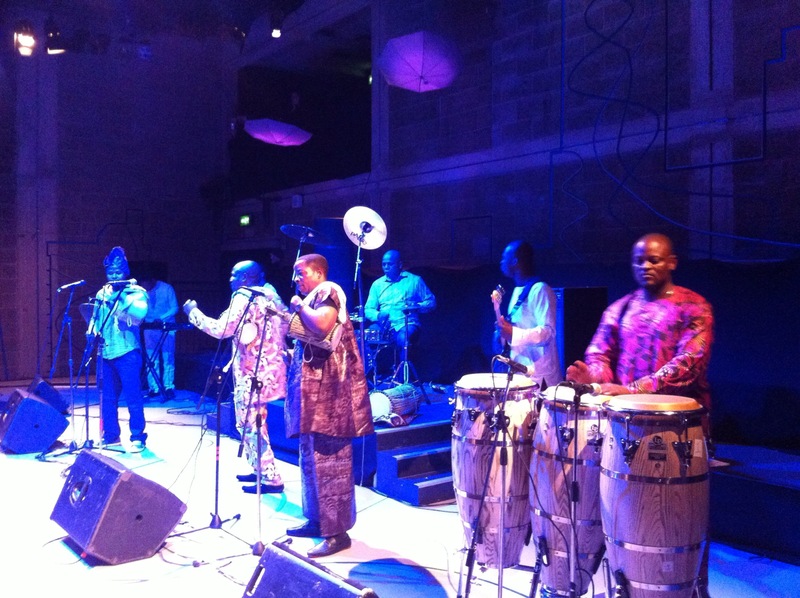 So whether it’s a glass of fruit punch, some jollof rice or some bata drumming you’re looking for – come, enjoy, Feast! 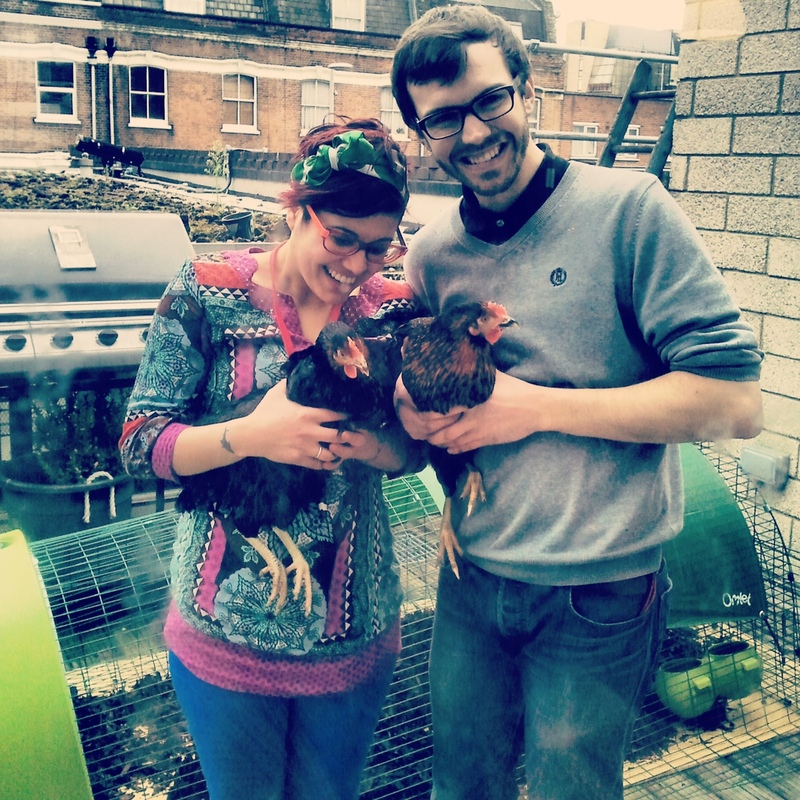 The Young Vic staff terrace has been converted into a pop-up hen house in preparation for Feast! These two chickens will be living with us for the next few weeks as they prepare for this world premiere musical play. 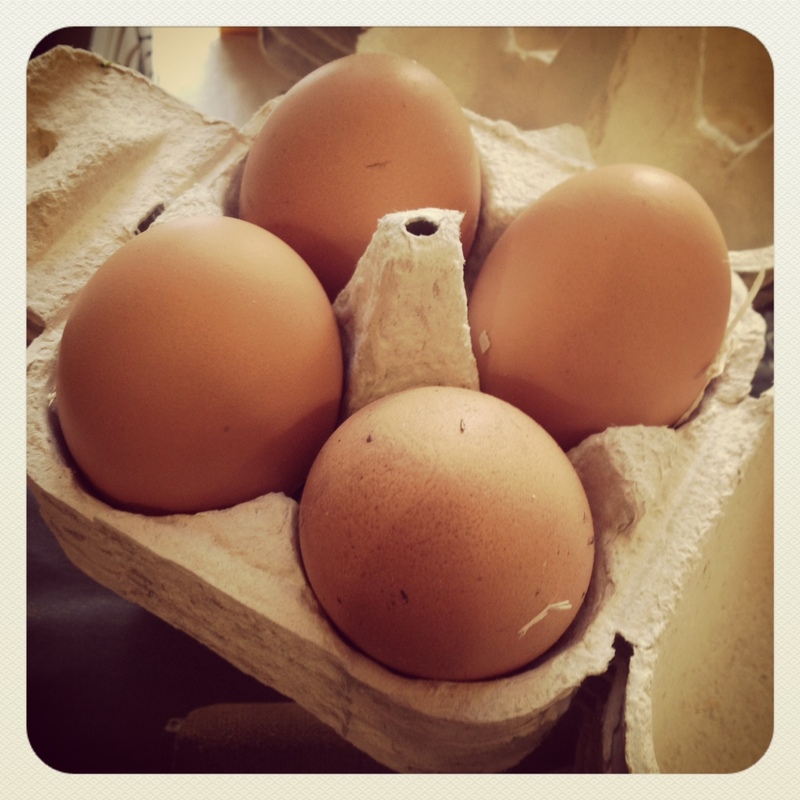 The hard-working chickens are even laying eggs in the middle of tech week! What a work ethic! Feast begins this Friday – get your tickets here. And in case you aren’t familiar with the song that inspired the title of this post, you’re in for a treat here! Do you have any connection to Yoruban culture? What is your favourite play (seen, read, or worked on)? “Bogus Woman” and “A Raisin in the Sun” for worked on, too many read and more to see! If days were 28 hours long, what would you do for the extra 4 hours? Alternate between dancing and sleeping. If you were in a room full of any one thing, what would it be? Juice fast holiday in Turkey. The one that makes me move. I’m fascinated with now, really. If you could have any supernatural power, which would you choose? Feast opens 25 January at the Young Vic – tickets are on sale here. Yes. Many friends and possible historical/cultural/lingustic links because I was born in Ghana. 1997, The Caucasian Chalk Circle at the NT by Complicite, August Wilson and David Mamet. Toast with (Ghanaian) peanut butter and guava jam. Or jalapeño popcorn! Tap dance. Really. Or become a master turntablist. New York, NY! Because if the world had a capital it’d be it. Today it’s ‘Burn’ by Admiral Fallow. Coastal Ghana in the late 1600s. Just to see. Teleportation – for travel – or laser eyes – for fun.